Understanding wireless technology trends will allow you to position yourself and ride the coming wave of change... the tide is already rising. or maybe you just love finding out about new technology. Come and ride the leading edge without getting out of your depth. 4G is at a network near you! An immaculate technological conception has taken place and now the fourth generation (4G) of mobile wireless technology (son of 3G) has been born. The effects of this virtually instantaneous mobile broadband will go far beyond just being the next mobile phone. The numbers will be huge, so business opportunities in manufacturing, retailing and development of applications such as gaming, will be spectacular. The opportunities for social networking will be staggering. The opportunities for service providers will become bigger than ever. This is a wireless technology trend that promises to be truly life-changing. The number of people able to access the Internet is doubling about every four years. 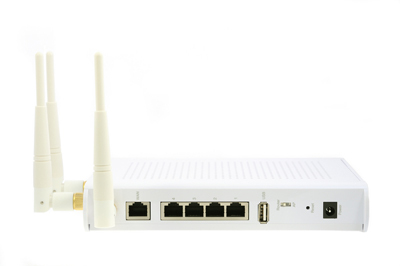 Home Wireless Local Area Networks (WLANs) are becoming popular, for a very good reason. Products based on the 802.11 wireless standard are becoming readily available and provide value that by far exceeds their price. This isn’t surprising with wireless technology, as it makes it just so easy to connect. Plug a wireless router into your modem and everyone in your house with a laptop and wireless card can share a single Internet connection, and other resources such as a printer. As an added bonus, a router can put a firewall between you and the public Internet, reducing the risk of attack from viruses. So a clear wireless technology trend is emerging... if connections are doubling every four years, and the number of computers used in a family also doubles, then in four years time there’s likely to be around four times the number of wireless Internet-capable devices that we have now. The company that's commercialized it call it Li-Fi. Instead of using RF to carry the information it uses light. Light can carry much more information at greater rates than RF because of its higher frequency. It has enormous bandwidth. This isn't new information, it's been known for decades. However it's new technology that's made this practical... light emitting devices that can respond extremely fast. While the data rates are very high, unlike Wi-Fi, Li-Fi can only go where light can go, so can't work through walls... but will work through windows. Indirect or reflected light from Li-Fi should also carry enough signal to allow information to be extracted from it. So Li-Fi could be used in planes where the use of RF could interfere with a plane's electronic systems. It could be used in any large area that can be 'lit up'. Light emitters could be mounted on ceilings so that they illuminate a largely unobstructed area. In fact, it should be possible to modulate signals onto white LED lights used for normal room lighting, so the lights perform two functions. Instead of having a Wi-Fi card or stick installed in your laptop computer, you would have a similar device where the RF antenna would be replaced with a light sensor. There would also be some special electronic circuitry to strip the useful information from the received light signal. While it has limitations, Li-Fi could be useful in some situations. It’s all about speed and time saving, faster wireless downloads of music and videos, or being able to play new, more responsive, interactive games using wireless controls. There’s a very clear wireless technology trend here...people have a never-ending appetite for data, and want more of it, and faster. Local Area Network (LAN) wireless data standards are evolving to accommodate this need for speed. The new 802.11n standard will lead to the development of wireless devices that can transfer data five times faster than those designed around the currently common 802.11g standard. But it won't stop at 'n' because 802.11ac is already in draft form. This will be even faster. Early 'ac' routers are likely to appear for sale before the 802.11ac standard is finalized and ratified. One of the few disadvantages of wireless technology is the need to secure wireless networks against intruders. 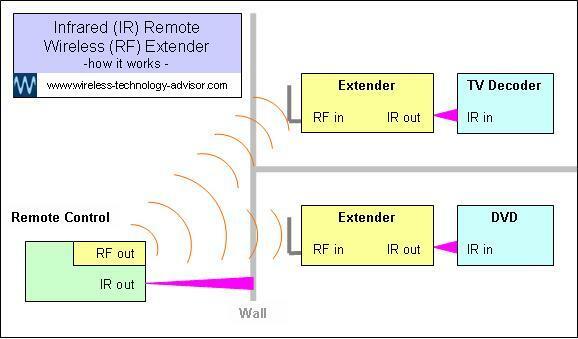 Because radio signals aren’t usually confined by the walls of a house, an intruder might access the network via any leaked RF. As wireless networks increase in popularity and number, the need to tighten security will become greater than ever. The WEP standard commonly used now is already being superseded by another standard that offers more security. The new WPA security standard has already started superseding WEP. As the technology of wireless security matures, many layers of protection will need to be built in. An extremely productive wireless technology trend is that of a special type of wireless networking that enables all the people on the network to share resources, such as computer files, printers or a single Internet connection. This will enable students and groups, working on a single project, to collaborate to a degree never seen before. Functions such as cellphone, computer, tv, gaming, GPS, weather station, heart-monitor may all be integrated into one device. The fourth generation (4G) of mobile wireless technology will have the high data rates that will support the more data-intensive functions. Anything you use now that can’t be shifted because it’s attached by wires, or anything you can shift, but don’t want to because the wires get in the way, is fair game for wireless upgrading. There’s already a growing wireless technology trend toward listening to music wirelessly via wireless earpieces, headphones and speakers. More and more, wireless keyboards are being used for instant live audience response. Reusable wireless newspapers are likely to become common as soon as paper-thin colour displays, that look and feel like paper are developed. Imagine a single-page electronic newspaper where you can scroll through all the latest news. But a more immediate trend is the increasing popularity of e Books. 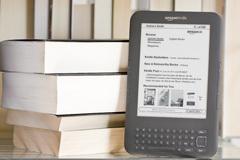 Wireless e Book Readers are starting to take some of the market share previously held by conventional books. They aren't as heavy or bulky, can download e Books via the Internet and one reader can store many books. Networks are becoming easier to set up as hardware manufacturers increasingly include on-screen installation wizards to guide you through what could otherwise be a complicated process such as setting up and enabling the security on a wireless router. 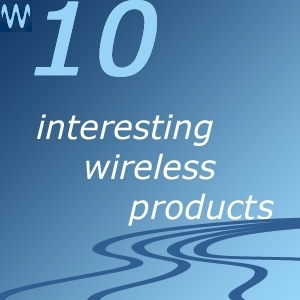 This is a wireless technology trend that will give you increasing confidence to tackle what were once expert tasks. The world is and will continue to move away from the bandwidth-limited Public Switched Telecom Network (PSTN) and move towards Internet-based voice services over a Virtual Private Network (VPN) on the Internet. Some links in the network will be wirelessly connected. Now wireless sensor technology is allowing us to easily monitor the critical life-signs of patients. Previously, the lack of suitable sensors, combined with an un-workable tangle of wires, has severely limited medical applications. Now patients can be monitored effectively for serious conditions such as sleep apnoeia, while in bed sleeping. Or monitoring critical parameters such as heart rate, while a patient is undergoing strenuous physical exercise and the connection of wires is impractical. The door ‘s wide open, so expect to see this wireless technology trend bring big improvements to health-care, especially as it increasingly integrates with its perfect partner, the new emerging sensor technology. Good hospital communications is essential for patient welfare and operational efficiency. With increasing numbers of events that need to be monitored, an increasing number of complex decisions that need to be made to instantly notify increasing numbers of specialized medical responders via different wireless communications devices, such as wireless Smartphones, Tablets and Pagers... it takes a sophisticated system to bring order and urgency to what could otherwise become chaos. These systems will become increasingly flexible to accommodate new technology as it emerges. Medical applications are about to undergo massive growth as it becomes increasingly possible to monitor patients with tissue-implantable wireless-linked sensors. This is one of the most important of the emerging wireless technology trends as these applications can potentially improve the quality of life for so many who suffer from a chronic medical condition. For example, a patient with a condition such as diabetes could be monitored continuously. A small implanted sensor could send blood glucose information to a base station via a wireless connection. If the glucose level moved outside a pre-programmed range, the base station would send an alarm to the appropriate care giver. Managing pain and cardiac care are among many other possible applications. The wireless technology trend will follow the development of new types of sensor as they become capable of sensing the ‘chemical signatures’ of an increasing number of treatable medical conditions. It will also lead to an increase in automatic dispensing of medicine in response to what the sensor is reporting. For example a small personal syringe pump could respond to the information coming from the sensor. This would enable smooth, precise dosing, without the unregulated ‘overshoot/undershoot’ situation that may arise due to the delay between the test and the treatment. Networked wireless sensors will increasingly be used as they evolve to communicate amongst themselves, seeking optimum transmission paths, carrying out self diagnosis and healing the network if a sensor is removed from the network or fails. An ongoing wireless technology trend, and challenge for electronic device designers, is to reduce the amount of power a device needs to operate. Soon, wireless sensor networks will need so little energy to operate that they’ll be able to harvest or scavenge energy from available sources such as sunlight, radio frequency energy, mechanical movement or vibration to satisfy their meagre power needs, rather than have to rely on batteries. Where the cost of long cable runs in rural areas are prohibitive, broadband wireless alternatives are likely to proliferate. Even now, some computer mice are powered wirelessly and research and development is being done to eventually allow laptop computers and other devices to be powered wirelessly. 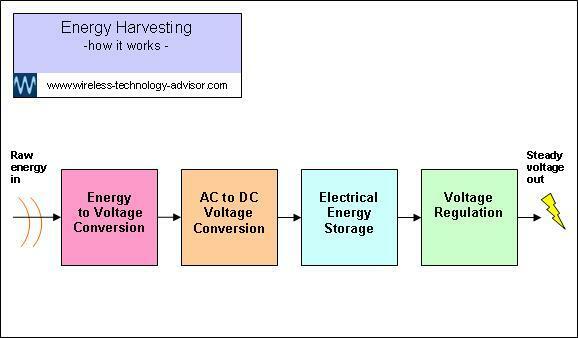 Repeatedly having to charge the batteries is probably the single most annoying thing about owning a laptop and there should certainly be a large enough demand to drive investment in the research and development of a system that can supply power wirelessly. As we become more reliant on electronic transactions, we need to be sure that these transactions will be secure, and can only be accessed by the intended audience. 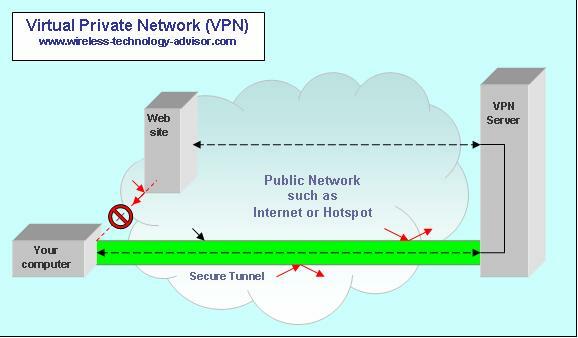 A Virtual Private Network (VPN) service can usually provide the highest levels of security and privacy available. VPN can create a virtual 'safe tunnel' for your private information when you are using a public network, for example the Internet or public WiFi hotspot. 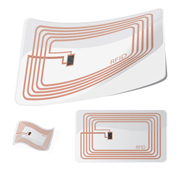 RFID (Radio Frequency Identification) is one of the wireless technology trends that is rapidly gaining momentum worldwide. You can use it for identifying and tracking products, as they move from manufacturer to supplier... and even between countries. This technology takes asset management to a whole new level. More and more people are tracking manufactured goods in real time, using wireless telemetry .